The leaves change colors, the weather gets a bit more bite and the calendar switches to a new season. When all that happens it is time to prepare your vehicle for fall with a stop at Wiygul Automotive Clinic. Before you know it — and before you probably want to think about it — the weather is going to change and you will be turning the corner to winter. So prepare for fall and you will be nearly ready for winter when it comes to auto maintenance. A complete vehicle check-up is always a good idea as the seasons change, if for no other reason than it puts you on a routine maintenance check schedule. Have your battery cables and terminals, belts, hoses, air filters, and windshield wipers checked before it gets too cold outside. Also, it is important to have an inspection of all fluids, such as anti-freeze, oil, brake, transmission, and power steering fluid as well. Knowing that the basic maintenance needs of your automobile are met gives you one less thing to think about and worry over. What about your tires? The fall vehicle check-up should also include an inspection of the tires on your car to ensure safety and stability. 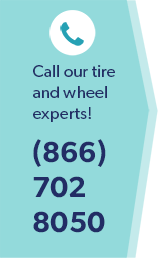 The tires should be inspected for uneven tread wear, inflation level, balance and alignment. As the dead, wet leaves fall to the ground and cover the streets of Burke, VA you will be thankful you did — especially if try to stop on wet leaves and do not get the reaction time you expect. The lights and signals on your car are just as important as the other components of your vehicle. Check your headlights, tail lights, brake lights and turn signals as part of a routine maintenance plan. As the skies turn dark earlier than other times of the year, letting other motorists know of your presence is more important than ever. For more auto maintenance tips or to get a tune-up for the fall, stop in to Wiygul Automotive Clinic today for a complete auto inspection. Inspections while you wait and service you cannot beat will bring you back to Burke.